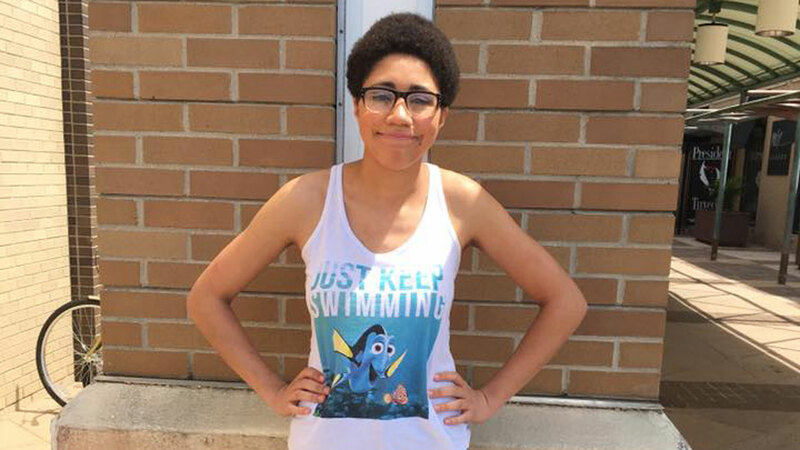 Grand Rapids, MICHIGAN (WABC) -- A Michigan mall released an apology after a woman was asked to leave because of her "inappropriate dress" of a "Finding Nemo" tank top and shorts. The woman, Hannah Pewee, posted to Facebook on June 10 that she was kicked out of The Woodland Mall in Grand Rapids after someone anonymously reported her to mall security. "Within a one foot radius there were plenty of girls dressed just like me, since it's NINETY degrees outside," Pewee wrote. "I am so angry right now I'm shaking. I felt so embarrassed I almost cried." Pewee also claimed that her outfit should not have violated the mall's official clothing policy that she found on their website. The mall later apologized to Pewee. "We have apologized to Hannah and we apologize to our community," the mall wrote.